Below are some of the common red flags that researchers and therapists recommend you look for in a relationship. .” Who knew? Drama Queens can be very alluring and attractive in the beginning of the relationship because of their seemingly outgoing and often seductive personalities. But the shtick gets old after a while and constant drama in a long-term relationship just makes people miserable. 2. You can’t stand any of her friends. You don’t need to be “besties” with her friends, but if the thought of spending an hour with one of them makes you want to jump in front of speeding traffic, then you might have reason to be concerned about your relationship with your gal. There’s wisdom in the old adage, “Birds of a feather flock together.” Your significant other likely has a lot in common with her friends — similar interests, temperaments, and beliefs. Because you’re "not" in love with her friends, you’re more likely to notice their annoyingly grating behaviors and attitudes. But because you’re infatuated with your gal, you’re likely ignoring or overlooking these same behaviors and attitudes coming from her. Thus, if you can’t stand being around her friends now, there’s a chance you’ll feel the same way about your partner later. Don’t be surprised if your girlfriend is just like her annoying friend after the “Fog of Love” dissipates. 3. She says ALL her exes are jerks. There’s a possibility that every man she’s ever dated was indeed a jerk. If that’s the case, what does that say about her judgment, and what is it about her personality that draws her to losers? And that also means you’re probably a jerk too, as people tend to follow the same scripts and patterns across relationships. The more likely scenario is that some — but not all — of her exes were jerks and she’s downplaying her role in the relationships going sour. This scenario is just as troublesome – as it shows a lack of self-awareness and an unwillingness to take responsibility. We all know folks who got fired from a job, received a bad grade, or got dumped because their boss was jealous, their professor was out to get them, and their girlfriend was nuts. It’s never "their" fault. Avoid relationships with this type of person like the plague. 4. She’s a flake. We all know that trust is an important aspect of a strong, healthy relationship, and it’s hard to trust someone who flakes out on you all the time. Watch to see if your gal follows through on her commitments in all aspects of her life. If she’s a flake with her employer, friends, and family, chances are she’s going to be a flake with you. 5. She treats waiters like crap. You can glean important information about a person from the way they treat strangers, especially those in a “server” role like a waiter, barista, or bank clerk. Psychologists have found that the way an individual treats strangers is often an indication of that person’s empathy, social conscience, and maturity of moral thinking — the same attributes that marriage and relationship researchers have found to be essential for healthy relationships.
! If things are already bad in the early stages of a relationship, you’re in big trouble. — iron sharpens iron and all that. Unfortunately, some women don’t understand this and bust their boyfriend’s balls any time they want to go spend time with their buds – or they insist on always coming along to your formerly all-guy outings. A good woman will actually "encourage" you to spend time with the guys, understanding that it’s good for your overall well-being, which is ultimately good for your relationship too. “What you want to see is a partner who quickly admits to wrong because the feelings of guilt register without much defensiveness or denial. 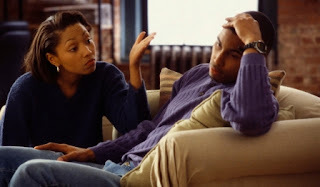 Long arguments where you have to convince your partner that he or she was wrong or should feel guilty are a definite reason to worry,” says Van Epp. 10. She has a bad relationship with her family. As the relationship gets more serious, you’ll likely meet her parents and family. Watch how she interacts with them. Her comfort level with her family will often lead to her putting down her guard and showing her true colors. Patterns or scripts that your partner uses in one set of relationships will most likely be introduced into your relationship (Van Epp). If she gets along great with her family, great! You’ll likely experience the same in your relationship. However, if she’s cold and distant with her family, tread carefully. You might experience the same kind of hostility later. Of course, there are cases where the apple truly does fall far from the tree. If her family is nuts or abusive, her distance is understandable and likely a good thing. — the ability to go with the flow and adapt to changing circumstances — is an important attribute for relationship success. If your girlfriend is never willing to compromise or gets frazzled when plans change or things aren’t exactly the way she wants them, there could be problems with your relationship down the line. How do you know if your gal is the roll-with-the-punches type? Go on vacation together – ideally to a third-world country where things will invariably not go as planned. Or, just as good, take her camping. She refuses to go camping – even once? That’s a big red flag in itself – at least in my book. 12. You don’t share any core values or life goals. It doesn’t matter how much you love each other, if you and your gal aren’t on the same page when it comes to things like values or life goals, things are going to be rocky. Research backs this up — couples who share many of the same values and life goals are happier and have stronger relationships than couples who don’t. 13. She’s violent. Did you know that women are at least as likely, sometimes even more likely, than men to initiate domestic violence? Sure, her punches may not hurt you, but if your girlfriend gets violent when you argue, that should be a bright red flag that you need to end the relationship. There’s some underlying emotional issues there, and if she did it before, she’ll likely do it again. Don’t shrug it off – slapping can escalate into the use of weapons. *14. She’s stingy with the appreciation. * Feelings of appreciation keep a relationship strong and running smoothly. One of the things I love about Kate is no matter how many times I’ve done a run-of-the-mill chore or how small a favor, she always remembers to take notice and share her appreciation. If your girlfriend rarely notices and thanks you for the nice things you do, such stinginess will eventually run your ship of love onto the rocks.